Looking for booking period: 2 April 2013? 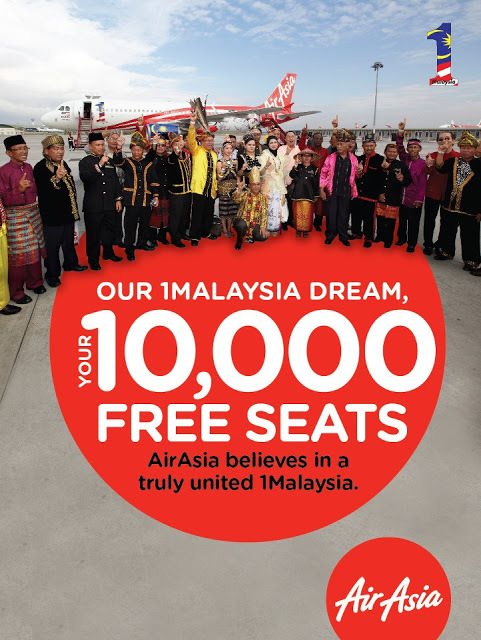 AirAsia will be offering 10,000 free air tickets for routes between Sabah, Sarawak and Peninsular Malaysia under the 1Malaysia Integration Programme. However, airport taxes will be applicable, while fares and fuel surcharge are waived. Baggage allocation, in-flight meals, seat selection and other value-added services are also not included in the free seats. Bookings for the free seats are open to all Malaysians with valid MyKads. 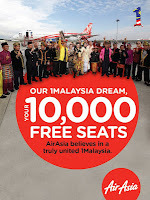 Do you like this AirAsia offer?